Apparently I have a thing for taking photographs of dandelions, which have gone to seed. 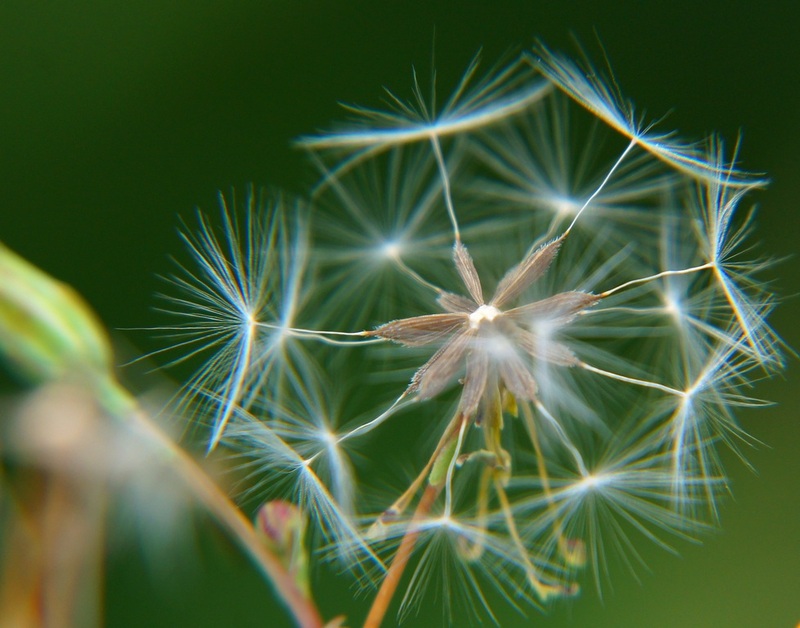 My photo files are full of such photos... close-up, abstract macros... photos of a seed or two getting ready to blow away... photos of the full dandelion... Yep, apparently I am drawn to photograph them. Lately, I've been in an introspective type mood and have even signed up for a couple classes to spark my creativity, discover my niche or style, and try to expand on my talents and my spirit. In fact, I've got the box cutters ready to open the shipment the mailman should be delivering soon. I ordered some printer paper, this book, this book, and a journal for one of the classes. The journal has a dragonfly on it (go figure, huh?) and says, "What lies behind us and what lies before us are small matters compared to what lies within us." Pretty appropriate for what I want to gain from these courses. I'll let ya know how it goes. Hi Misty...there is beauty to be found in all thing ..it just depends on how we look at things!! I love your dandelion !! Good luck with your classes...love that quote!! This is so lovely! You can't have too many dandelion photos. Beautiful. I have one of the same books your going to read. What a gift. A new journey. What could be better? Wishing you much joy in discovering your hidden depths. This is a particularly exquisite dandelion. Fabulous photo. Interesting books you've ordered, too. Perfect quotation on the dragonfly (yeah, go figger) journal. Seeds make beautiful compositions and this one is no exception. Dandelion seeds symbolize hope and dreams come true, so don't forget to blow one before you start those classes. I think I stumbled on one but did not have my camera. It would be fun to shoot them. And there is no excuse not to take classes. Learning allow us to take different perspective of life which allows us to grow!